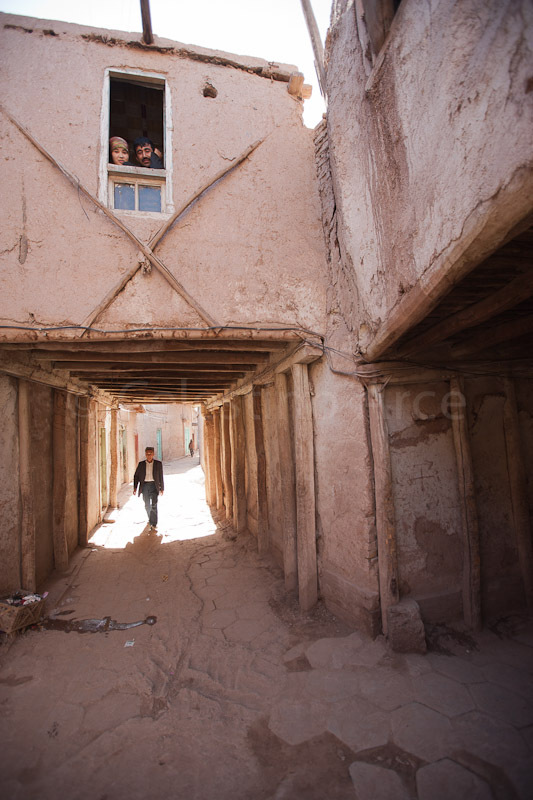 The old city of Kashgar, one of the great jewels in the silk road, slowly but surely disappearing under the steamroller of the great progress China. 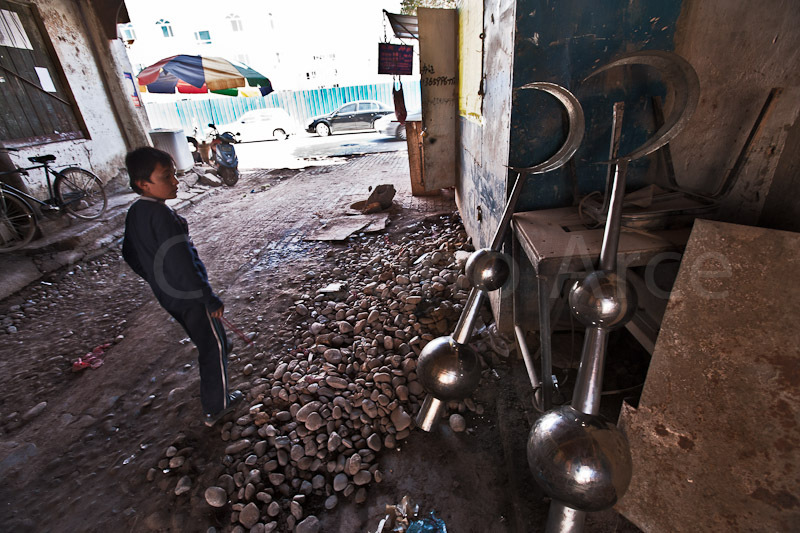 Located in the south-western China, in the region of Xinjiang, a mere 200 km. 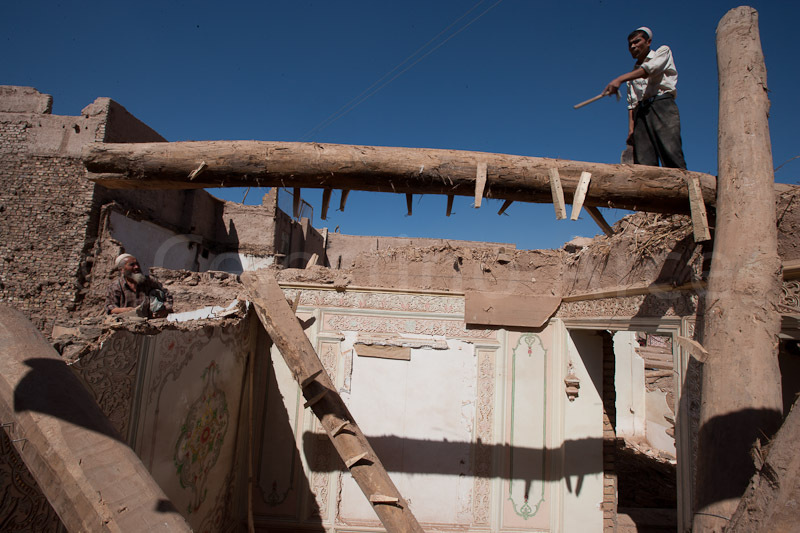 the border with Kyrgyzstan, this city with a history of more than 2,500 years is languishing in rubble and cranes that lift a city of modern buildings replacing the old centuries adobe houses and winding streets that have survived earthquakes and invasions of the most varied peoples since ancient times, but this time will be final. 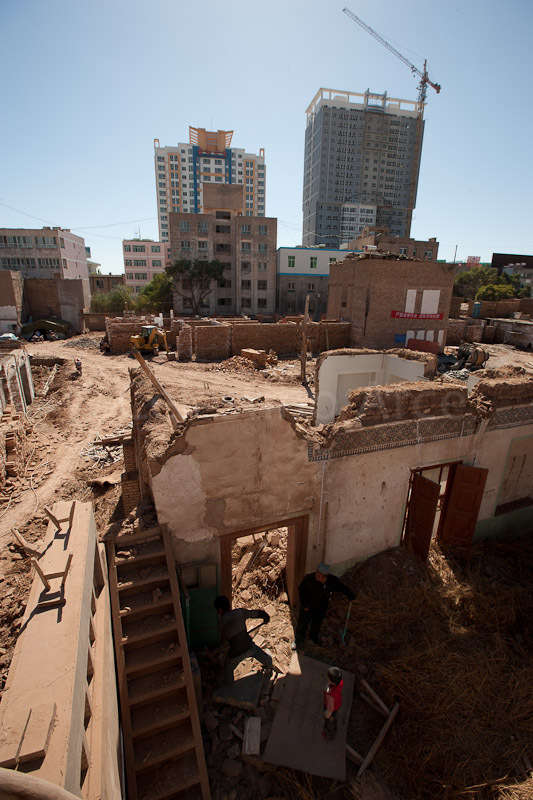 The Beijing government has new plans for this area, and under the guise of modernization and improvement of life, has made an urban redevelopment of the oldest areas of the city that involves their total destruction. 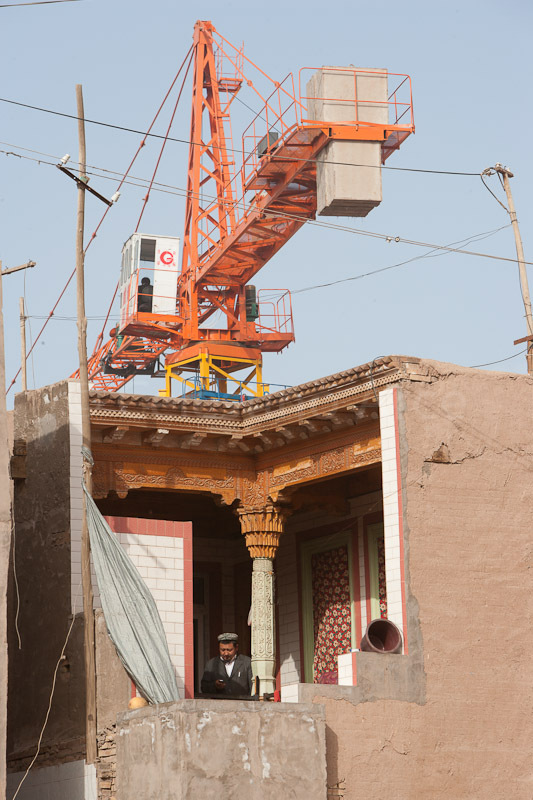 Basically moves occupants in modern neighborhoods in the suburbs, or in remodeled homes will keep them in their previous location, made of concrete and brick, but makeup of adobe on the outside, to provide a false vision of the "old" to Kashgar tourists. 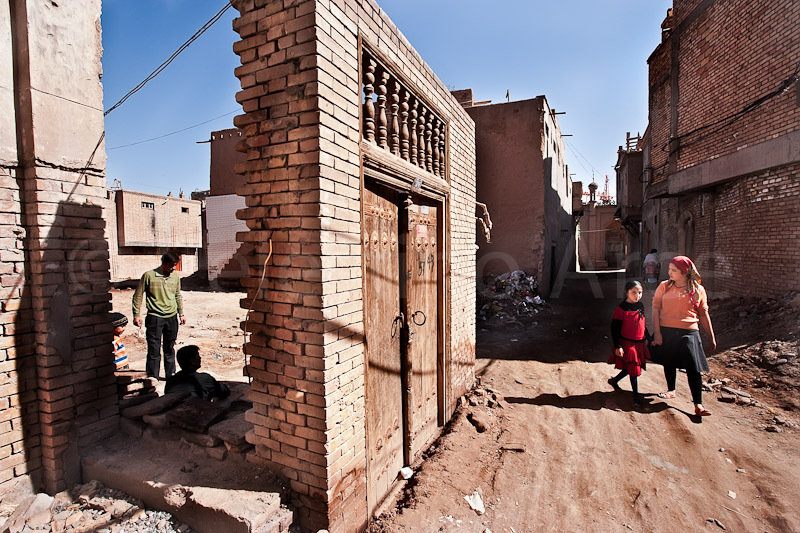 The background of all these plans is darker if possible, the area historically occupied by ethnic "Uighur" of Turkish-Arab and Muslim majority, has always been rebellious against the Chinese government guidelines, to the point of greatest tension in August 2008, at which there were some attacks on Chinese forces, resulting in sixteen dead policemen. 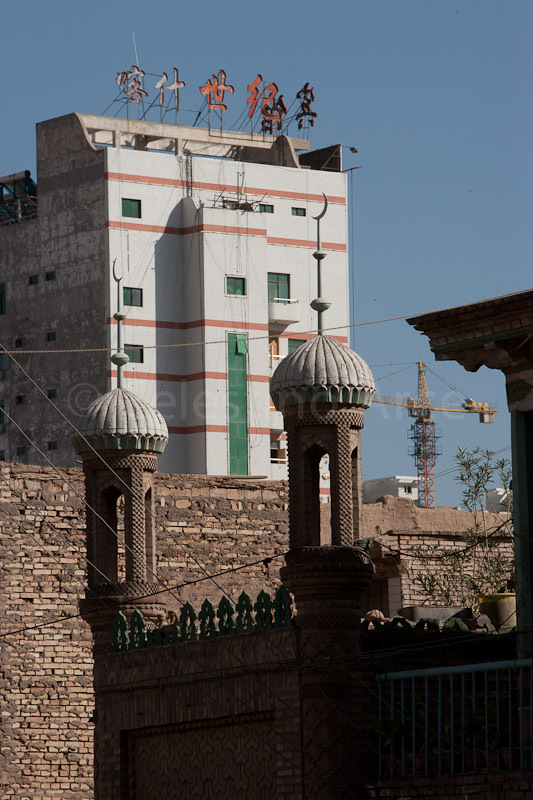 The government, fearing that the old city is a hotbed of Islamic fundamentalism independence, will radically tackle any opposition by combining mass relocations, facilities to be established to "han", docile majority ethnic group in China, just as Israel uses to control the settlers occupied areas, and repression of any replies by regional or international groups. 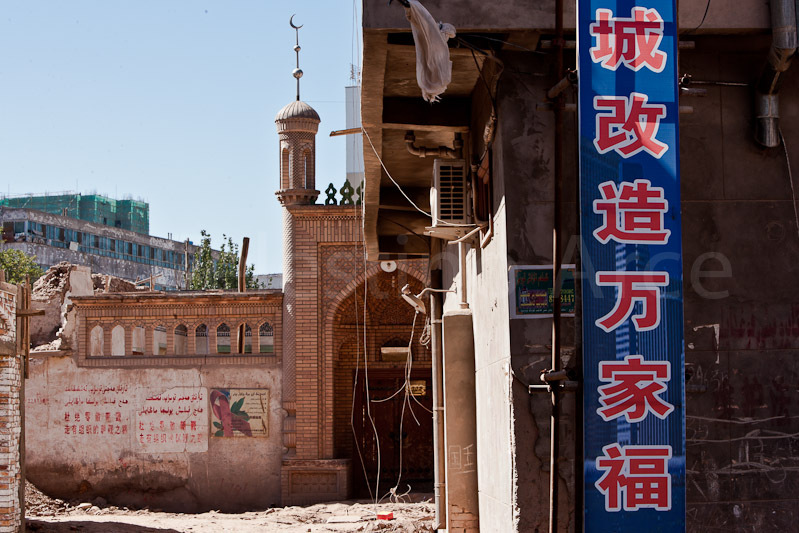 China makes clear its message to locals, with giant signs in Chinese characters everywhere, the demolition of mosques unceremoniously, sometimes holding tiny parts thereof, in some cases only one or two meters behind the facade, placing huge national flags of the Communist Party in front of the most important mosques, or the tight control by the police in the districts most troubled by surveillance cameras, coming to extremism in the form of birth control Uighur families, who are not allowed to have more than two children established around the country, such control is often avoided in the eyes of the police in the neighborhood, sending his "excess" offspring with their grandparents. 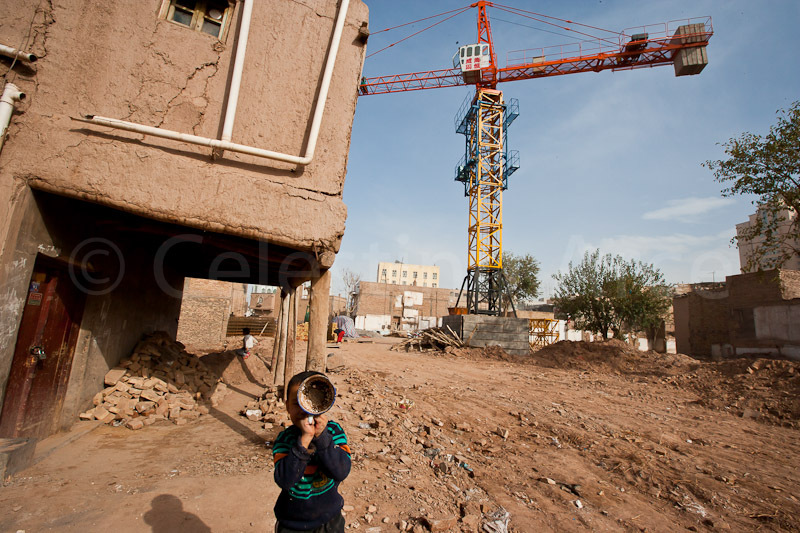 Neither have been many international organizations have echoed such a disaster, especially the most institutionalized, preferring to supplement blind deaf ears to complaints of NGO´s, or independent groups claiming support, nothing new on the horizon. 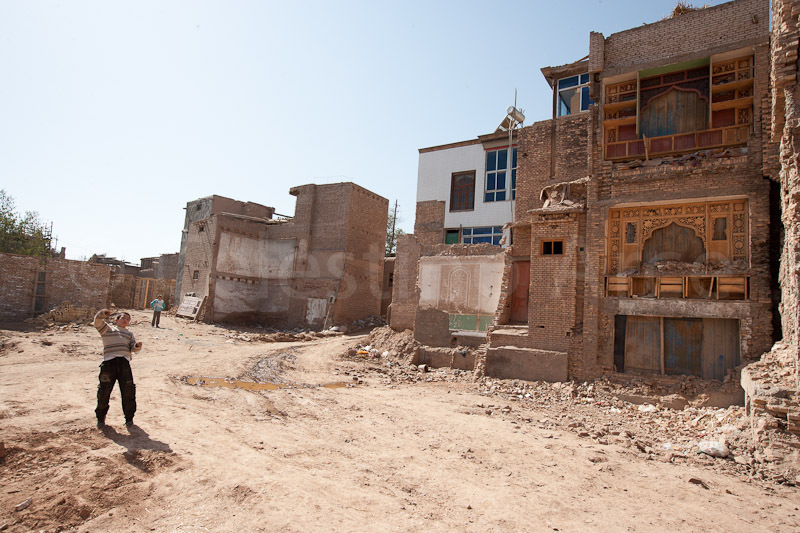 Kashgar was not included by the Chinese government's annual list of cities proposed to be declared Historical Patrimony of Humanity, as evidenced as another attempt to mask the real situation in the city. China weighs, and weighs heavily in the international economic scene, and before that, no human rights to be saved, no country wants to hassle with the red giant, which delights equally among Olympic celebrations spoiled and contempt for violation complaints of human rights in the euphemistically called "autonomous regions" of Xinjiang and Tibet. The catastrophe is made, and if you stop immediately, as there is nothing to save, large solar are waiting for the construction of huge towers. 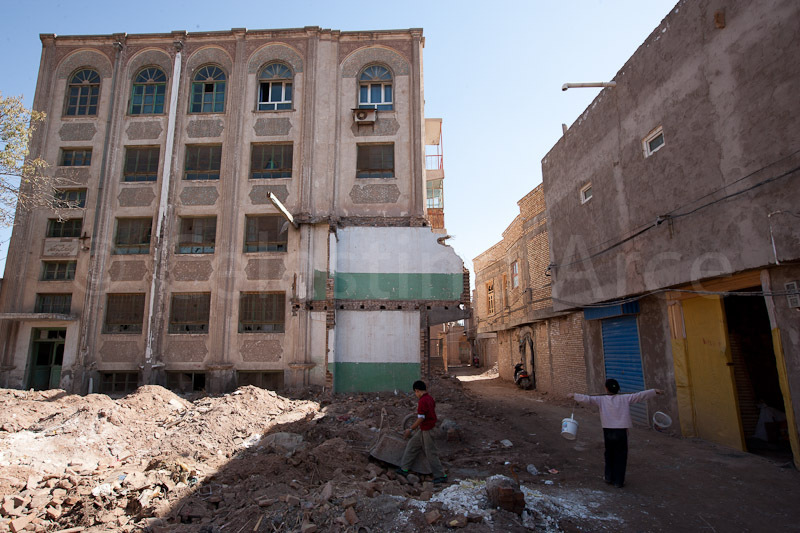 As has happened in other similar cities in the country, the remodeling of an entire city due to a real intention to control and easy handling of its former inhabitants. 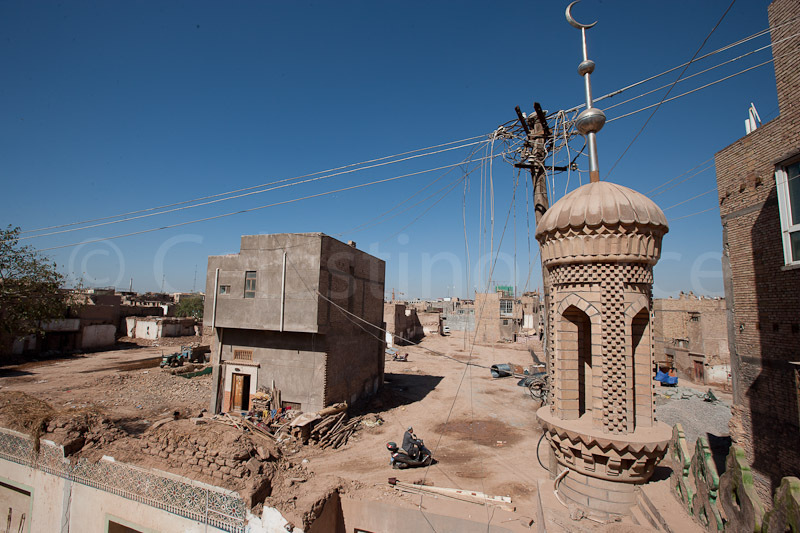 At this time, Kashgar is farther than ever from the eyes of the West. 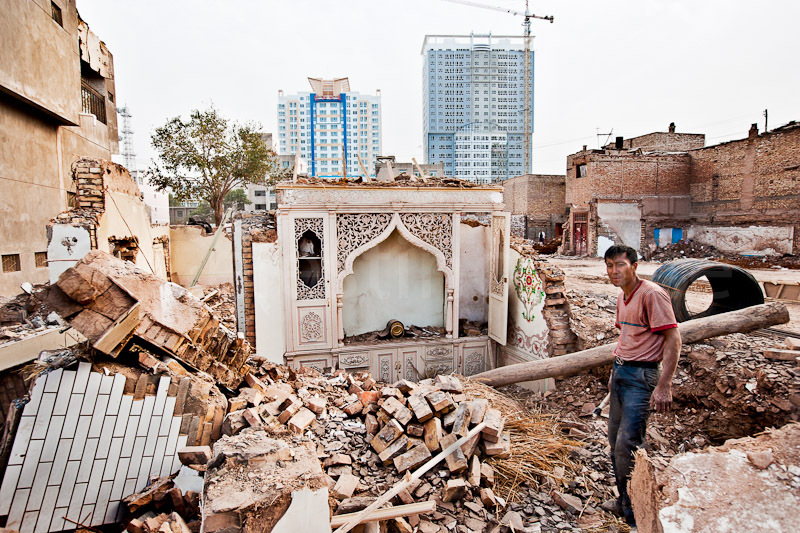 Links: Demotix Kashgar destruction, Google Maps demolished areas, Uyghur Human Rights, Uyghur News.